The first is simply the use of the term "entitlements." While this has a clear meaning to policy wonks, it is likely that most viewers won't immediately know that "entitlements" means the Social Security and Medicare their parents receive. It's a lot easier for politicians to talk about cutting wasteful "entitlements" than taking away seniors' Social Security and Medicare. The ostensible purpose of the debate is to allow voters to be better informed about the candidates' views. So if the purpose is conveying information, why not use terms that most voters will understand? But the semantics are the less important part of the problem. Why is it, that Social Security and Medicare are linked to debt? These are not the only programs that entail future commitments of resources. For example, our military budget involves large commitments of future resources. New weapon systems can require decades to develop and produce. We commit ourselves not only to the annual salaries of current soldiers, but also many decades of veterans' benefits. And, when we make military commitments through policies like the expansion of NATO, we are potentially obligating ourselves to vast expenditures in future conflicts. Many of the government's largest commitments of future resources do not even appear in the budget. When the government grants a patent or copyright monopoly, it is allowing the holder to effectively tax the public for decades into the future. This is a fact that is little understood because the folks who constantly scold us about the deficit never point it out. Granting a patent or copyright monopoly is a way in which the government finances research and creative work. The cost of these monopolies is enormous. In the case of prescription drugs, the United States will spend more than $430 billion this year for drugs that would likely cost less than one-fifth this amount if they were sold in a free market without patent protection. The $350 billion difference between the patent protected price and free market is a bit less than 9 percent of the federal budget. And this is just prescription drugs. If we add in the cost of patent and copyright monopolies in other areas it would likely come to more than twice this amount. This is money that the government is committing our children to pay in the form of higher prices - effectively a tax on prescription drugs and other protected items - that never appears in the government books. The deficit hawks will yell and scream about the interest burden we are imposing on our children with the government debt (currently near a post-war low relative to the size of the economy) but don't want us to pay attention to the huge patent rents the government gives to pharmaceutical, software, and entertainment companies. Of course we have to pay for research and support creative work, but there are far more efficient mechanisms. The deficit hawks prefer patent and copyright monopolies because they can conceal the cost from the public. It is also important to point out that the economy's problem since collapse of the housing bubble has been a deficit that is too small, not one that is too large. This is why the interest rate on government debt is incredibly low. (High deficits are supposed to raise interest rates.) We need more demand in the economy to fully employ the labor force and to get firms to spend more money investing in equipment, software, and other areas. We have paid an enormous price because of the lack of demand in the economy. The economy in 2016 is almost $2 trillion smaller (more than $6,200 per person) than the size that was projected in 2008 before the crash. This is an enormous "austerity tax" that those screaming for smaller deficits have effectively imposed on the country. Millions of people are needlessly unemployed, and tens of millions are earning lower wages, because people in Washington argued it was more important to have a low budget deficit than a strong economy. But you won't hear this story in the debate questions. 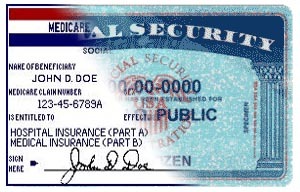 Those organizing the debate want to see Social Security and Medicare cut, so they are framing the topic in a way that cuts to these programs will seem like the only reasonable answer. We will see how the candidates respond in the debate, but it is important for the public to know that the debate sponsors are pushing their own agendas, not trying to better inform people on the issues.